Catching up with old friends can either be the greatest thing or the worst thing. Today we’re reunited with Out Of Sound Records, who took us in and gave us the opportunity to promote quite possibly the strangest genre of music to ever come out of Canada, but it did give us WTCHS so it’s all good. Another artist to emerge from those dark, dark shadows was WHOOP-Szo, and we even featured a couple of their albums last year. It’s been a little quiet since, but WHOOP-Szo have returned with a new song in the form of Mirror North, and it promises to be just as weird and just as strange as everything we’ve heard before. 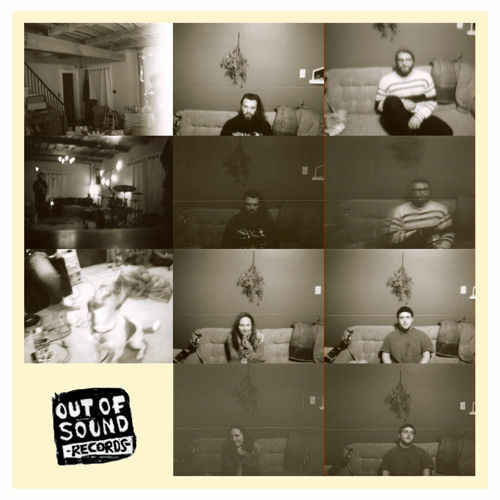 Complete with all sorts of non-descript noises that could be sourced from anything from a guitar to a bird, Mirror North confirms that the Out Of Sound scene hasn’t imploded with lo-fi overload just yet, which is pretty good. It’s always a little tricky getting immediately into the music, but after a couple listens you cannot help but grow to appreciate this form of abstractness. WHOOP-Szo do give the track a little bit of direction however, as they crush through the airwaves with pummelling guitar riffs that are straight up ballsy, and the constant delivery of them brings a little tear to our eye as we look back fondly on the days of WTCHS. Mirror North is completely insane which is to be expected from WHOOP-Szo but it does offer something for everybody to lose their minds to. It’ll be interesting to see if the band releases an album this year, or if anybody releases anything from that scene this year. PERDU are still going strong, but it would be nice to have everybody back for one giant hugging session. For more music reviews, free downloads and yea…this is weird check out Exploding Head Syndrome on Facebook and Twitter.